The first lady of Sarangani is indeed well-loved. Governor Steve Chiongban Solon’s wifey, Michelle Lopez Solon, recently celebrated her birthday and received all the love from the people of Sarangani. 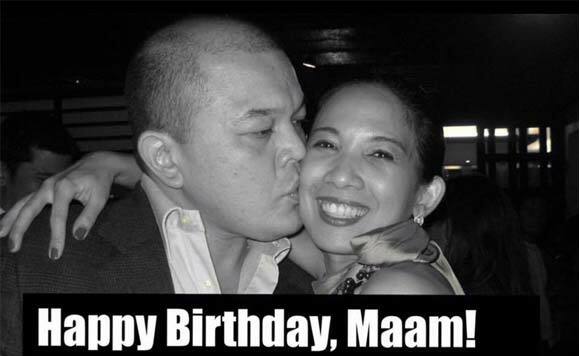 On the official Facebook of Vice Governor Elmer de Peralta, a sweet message was shared for Ms. Michelle’s birthday. “To the first lady of Sarangani Province, Maam Michelle Lopez Solon, you are one of the humblest and smartest women Sarangani Province ever has. We appreciate every endeavour you make to help Sarangani Province a prosperous one”, the post read. Apart from being an awesome partner to Gov. Steve, Ms. Michelle is also keeps her own personal blog on Facebook.